Knowing what to do after a house fire is probably one of the hardest things to figure out. Seeing the fruits of your labor perish in the fire is a traumatic experience. However, it’s important that you act fast to ensure a good footing when it’s time to file an insurance claim. A professional mitigation contractor will seal the windows and other openings of your property. This is to prevent further damage that will bungle your house fire insurance claim. Make sure that the roof, doors, and all possible entryways are closed. You’d have to prove to your insurer that you lost all of the things that perished on the fire. Take pictures and write down everything. A public adjuster can help you through this process. Also, make sure that you read the fine print of your policy to know if it covers fire insurance. List down all the things you lost in the fire. This will be easier for the insurance company and the public adjuster to estimate the losses. Be honest about what you’re going to include on the list. One of the steps to take when your house burns down is to hire a public adjuster. This person will be your wingman in documenting and getting the right payout. Contact your insurer as soon as you can. This is so they can see the actual aftermath of the fire. Delaying this will give the insurer the excuse of not paying you well. They may claim that the damage has worsened due to other factors not covered by your policy. Don’t start repairs until you’ve come up with a reasonable agreement with your insurer. Also, you’re not required to use repair contractors under the wing of your fire insurance company. Make sure that the cost of the items you’ve lost will be stated properly. Never over or understate the price. Either way, you’ll be losing. It’s either you don’t get the right pay or the insurance company discovers that you’re lying. A fire is a very massive blow to anyone’s life. 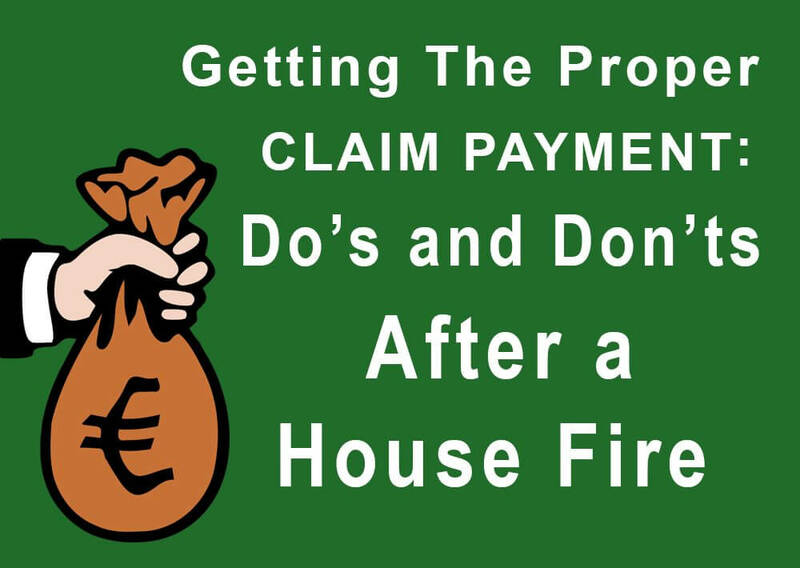 Knowing what to do after a small house fire doesn’t include accepting a half-baked settlement. Quick settlements are low-balls that bait you to grabbing a lower payment than the actual damage cost. Don’t let your insurer take advantage of your vulnerability. Hire a public adjuster. It’s hard to know what to do after a house fire. But with the help of contractors and adjusters, building your life back should be a less excruciating process.